As part of a Provincial mandate to promptly and efficiently deliver a number of new school facilities across Manitoba, the 55,300 s.f. 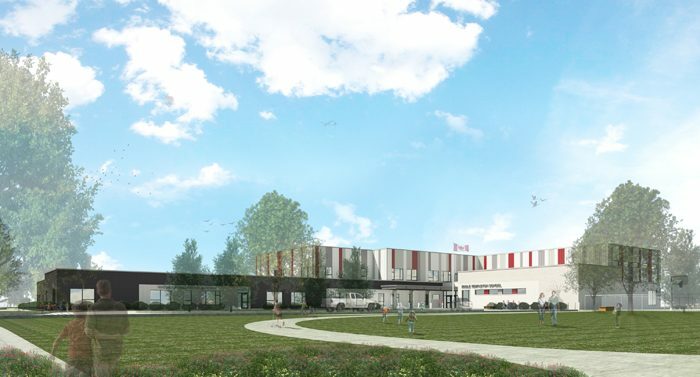 facility will provide new education, recreation and associate child card space to the fastest growing school division in the Province over the past decade. 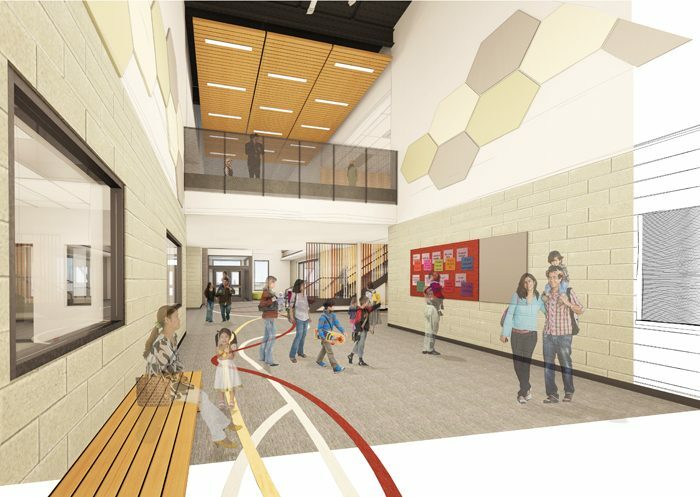 Planned for an initial enrollment of 450 but designed to accommodate up to 600 students, the new school forms part of an overall redevelopment of an existing site that will anchor a broader precinct community development in the Leila North Area. 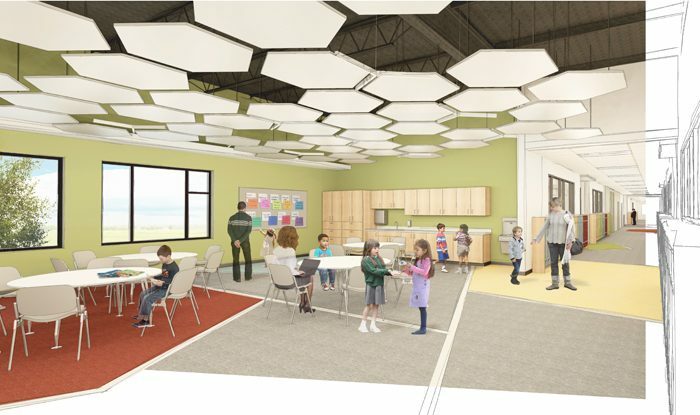 Oriented primarily east to west, the school entrance is framed and buffered by recreational and administrative space, providing an active visual connection to the drop off and pick up area, further to facilitating a completely south facing exterior play space for all ages. Anchored by an active, double height academic commons and associated support space core, the school is organized into three ‘houses’, each containing five classrooms and related breakout space. This approach reflects a divisional focus on providing a number of informal project based study areas throughout the school for both individual and communal student use.